Earlier this week, it was reported that Disney was in talks to potentially purchase most of 21st Century Fox, excluding their news and sports divisions but including their movie divisions, including the parts that make movies based on Marvel Comics characters The X-Men and The Fantastic Four. Those talks were described as on again, off again, and they’re currently off… but the fact that someone leaked their existence could very likely be one side trying to put some pressure on the other to restart them. 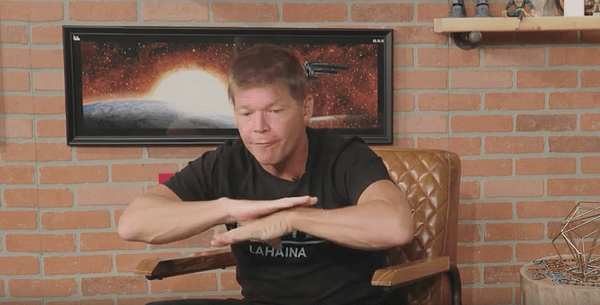 In any case, while the deal might not be happening, superstar creator and living legend Sir Robert Liefeld took to Instagram to reassure Fox that they don’t need to sell when they’ve got movies based on the work of Rob Liefeld in the pipeline. It’s your buddy Rob. Wait on any further talks until Deadpool 2 opens and does a billion. And X-Force! This is your Star Wars franchise and you’ve only scratched the surface. Everyone on the film side has kicked it into overdrive. Watch that portfolio grow! It’s true, Fox has hit the Liefeld lottery once before with the first Deadpool film, based on the character created by Liefeld. If they hit it again with Deadpool 2 and once more with X-Force, it could be Fox buying Disney in the next few years. It would behoove Fox to listen to Liefeld’s advice.